It seems like quite the paradox, but many community professionals actually do their work alone. Oftentimes, we are the only person in our specific role or we work with a manager who has never supported someone in a community role before. Depending on the day, that can either feel discouraging or exhilarating. In order to navigate the ups and downs of this common conundrum, it’s crucial to have industry support around you – for the benefit of your work and your health. If you’ve had the chance to meet with other community professionals in person, you can most likely speak to how invaluable it is to share face time with someone working in a similar role. It validates our careers, provides fresh perspectives to challenges, and gives us tangible tools to take back to our teams to show the value of our work. And it doesn’t hurt that the typical community builder is already naturally inclusive, so you’re always welcomed into this space quickly. Over two years ago, we knew from personal experience that there was a need for regular gathering at a local level – not only twice a year at CMX Summit. From this notion, CMX Series meetups were born. Before diving in to what Series currently looks like, let’s look back at how this first began over two years ago. Over the past three years since CMX was born, there have been groups of community builders around the world who have taken the initiative to gather in person. Offline friendships have formed over coffee, lunch, or happy hour. 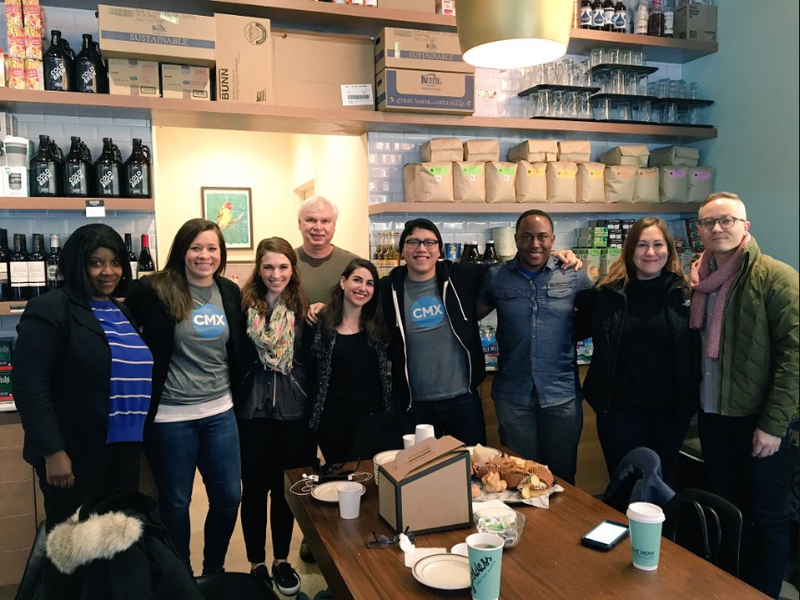 And when CMX Summit launched in February 2014, CMXers clamored to bring meetups to their city in between the conferences. Eventually those gatherings grew to events that warranted their own Eventbrite registration pages, social profiles, and beyond. Each time an event announcement or a photo would pop up on the Facebook group of a gathering, the CMX team celebrated. We also saw a growing need for us to support this grassroots gathering. The initial CMX Series program was born out of this desire to support local groups, with a few core cities gathering on a semi-regular basis. These cities have included Boston, Chicago, New York, Philadelphia, and Hong Kong. Events also occurred in Seattle, Vancouver, Tel Aviv, Oslo, Budapest, Amsterdam, Krakow, and more. When CMX Series was born, our team was resource-limited and time-short. We supported with landing pages on the CMX website, any warm introduction we were able to make for Organizers with industry leaders (both speakers and brands), and our full blessing to promote their events within our Facebook Group and externally with the CMX brand attached. 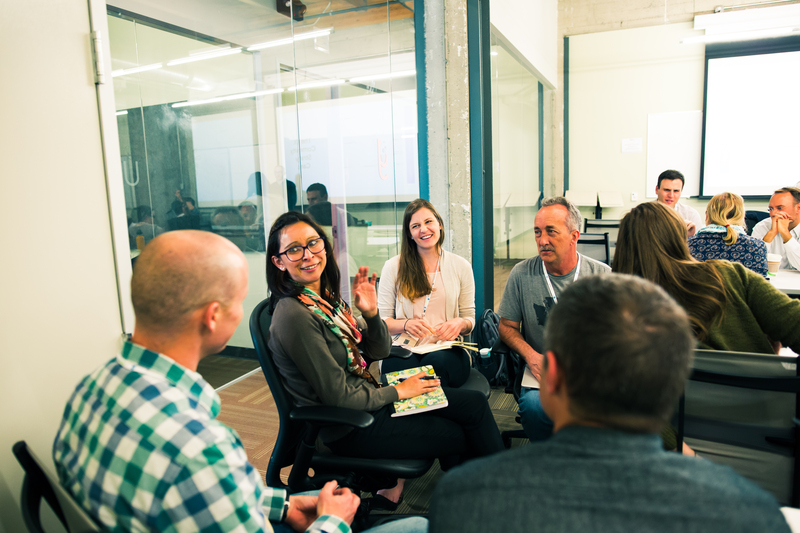 We hoped that as CMX grew, our team’s ability to support would grow – both in time and money. About two years ago, the CMX team made moves to introduce more resources to CMX Series. Talented community builder Yrja Oftedahl Lothe joined us to begin organizing the offline gatherings into a full program. Yrja rolled with the punches and, with little direction given from the CMX team, took initiative to reach out to active CMXers to encourage them to gather offline. From her work, Yrja put Series on the map and fostered excitement in cities that would later become part of the Series family. What we learned is that our internal team here at CMX needed to be in a place to support a full-time community manager to run the program. It’s frustrating for all involved – the program manager and the local Organizers – if the home team isn’t providing support in the form of planning, direction, strategy, and technology. From there, CMX Series chapters continued to gather on an ad-hoc basis, with Evan Hamilton (our former Director of Community) taking over as the main point of contact for Series Organizers with the intention to support the program. What we found is that expecting Evan to plan two CMX Summits per year and support and scale CMX Series was a two-person job. We weren’t setting him (or our CMX Series Organizers) up for success. Our Organizers were left disappointed because we had rallied their excitement that we were finally able to provide support. Our team was disappointed that we had missed the mark once again, particularly because we believed in the program. We did what we constantly advise others not to do: we put too many programs on one community builder’s shoulders without a clear way to prioritize and align the work to meet company goals. Once again, the existing core CMX Series chapters continued to gather on an ad-hoc basis. (If you can’t tell, this is a really flexible, resilient group of community builders who believe in the value of meeting offline!) It was incredibly disappointing to know that we had, in spite of our best intentions, let down our Organizers twice. My sole focus is to support the existing CMX Series chapters; this includes the five core who have held on through many growing pains as well as the additional 10 that have committed to the re-launch of the program in the past two months. I’m here to remove roadblocks; connect Organizers to brands, speakers, and potential sponsors; brainstorm ways to make the program easier for Organizers to run; and manage our technology relationship, to name a few. While I certainly want the Series Program to grow (to support community builders all around the world), I’m acutely aware of the importance of building and maintaining trust that was previously broken. That’s why, in the immediate future, my focus is to support our existing chapters instead of recruiting for new cities. That’s not to say we won’t allow new cities to join the program – it just won’t be an immediate goal until we feel like the CMX team has hit the mark with support this time. We’re thrilled to announce that we are one of Bevy’s beta clients, using their new community events platform. Startup Grind built this system to run their global meetup program, and it helped them scale to 200 chapters in five years. We have an amazing community ops manager at Bevy who also happens to be a CMXer (hey, Christina Kehoe!). On the Organizer side, Bevy provides a dashboard that allows local leaders to create event pages, generate a duplicate Meetup event, integrate with Mailchimp and Sendgrid for all email communication, and allows for seamless attendee registration and check-in. This platform comes at no cost to our Organizers, and we believe it’s worth the cost to us to help the program succeed by easing some of the planning burden for our chapters. Chapters will gather monthly: this can be a happy hour, breakfast, fireside chat, panel, speaker, or workshop. Chapters will partner with local spaces (coworking spaces, startups, large brands) that believe in the value of community to 1) alleviate cost and 2) foster local business-community relationships. Lead Organizers in each city will empower a team of community builders to help them execute, to both alleviate their time and provide opportunity for others (Ideally, they’d spend no more than 5 hours a week on planning). 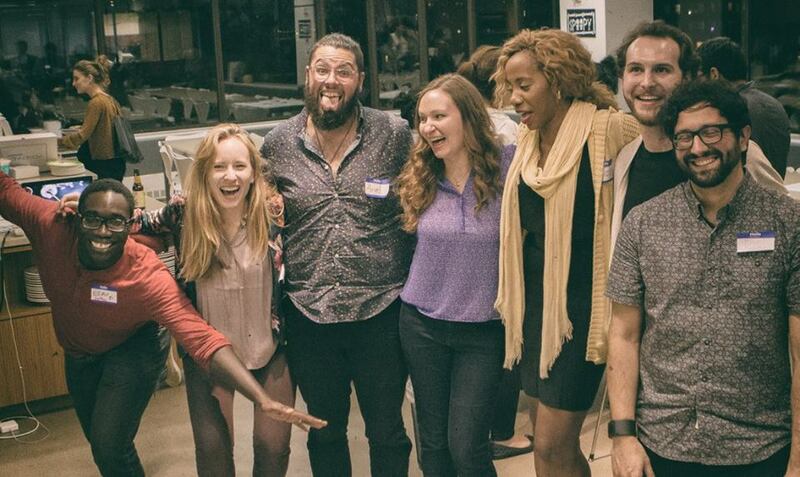 Local gatherings will be a welcoming meeting space for community builders and community-interested professionals to connect, learn, and share knowledge. Erica, our Director of Events, recently posted CMX Summit’s commitment to diversity and inclusion, as well as our code of conduct & anti-harassment policy. 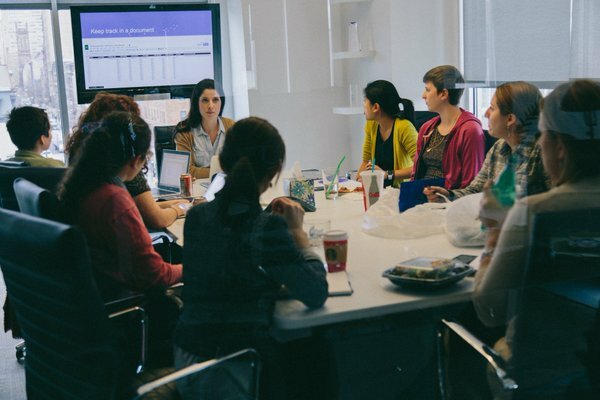 As CMX Series continues to grow, diversity and inclusion is paramount and will continue to be our anchor. We will also be adapting the Summit code of conduct & anti-harassment policy for CMX Series, which will be published in the near future. While CMX Series has the ability to generate revenue for us as a company so we can continue to offer more resources to you, revenue is not our primary goal. However, our ability to make this a profitable program will mean we can continue to grow the influence of our members and produce higher quality events accessible to everyone. Lead Organizers can choose to charge for event tickets. Then they have the option to reinvest that back into the chapter, pay themselves and/or their team for their time, or a combination of these things. Some chapters will choose not to charge ticket prices at all, or choose to charge for larger events (like a speaker with a big following) and keep smaller events free. We’re empowering our chapters to make these decisions based on how it will serve their chapter and ultimately their community best. Global sponsorship is managed by the CMX home team and goes toward supporting the events from the HQ level. Global sponsors are placed on every event’s sponsor listings. Local sponsorship would be considered sponsorship that goes to only a specific chapter or set of chapters, given by a local company that is interested in enabling that chapter’s local efforts. Typically this relationship is born out of the local chapter fostering that relationship, but there may be instances where CMX HQ has a relationship with a company that wants to sponsor the chapter local to their city. In this case, CMX is committed to connecting the two! The revenue take-home model we are practicing is an 80%/20% split: for any money that comes in through ticket sales or local sponsorship, 80% of that money is the chapter’s to keep. The remaining 20% will go back to CMX HQ to help fund the technology platform, design costs, future swag purchases, and the Series Coordinator’s salary. We also anticipate a modest travel budget for a member of our team (any of the four of us) to visit these chapters in person a handful of times a year, so we can give them the grassroots support they need. This program was created to serve the community, and we welcome all practical feedback and ideas. We’ll continue to post here and in the Facebook Group about what we’re learning as CMX Series grows, and tools that you can use for your own offline meetups. Questions or feedback? Email Katie at [email protected]. 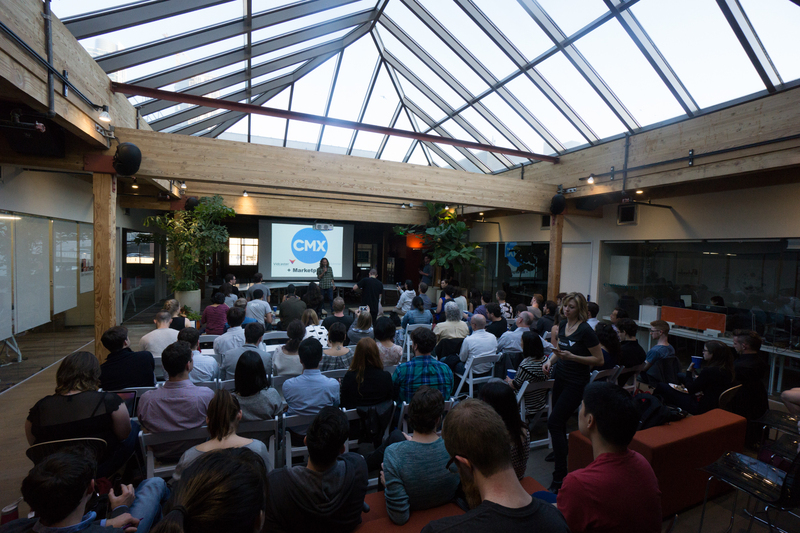 Want to attend a CMX Series event or speak at one? Find your city and Organizer here. Want to sponsor? Contact David at [email protected]; if you’re interested in local sponsorship, we’ll immediately get you connected to your local Organizer.